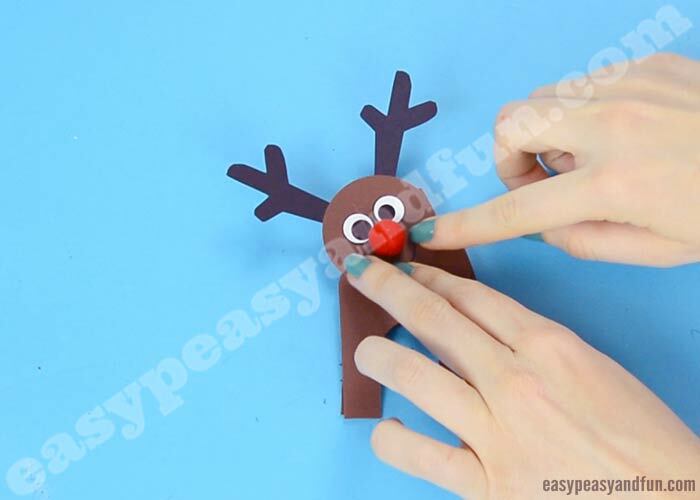 Need a last minute quick and fun Christmas activity to do with your kids? 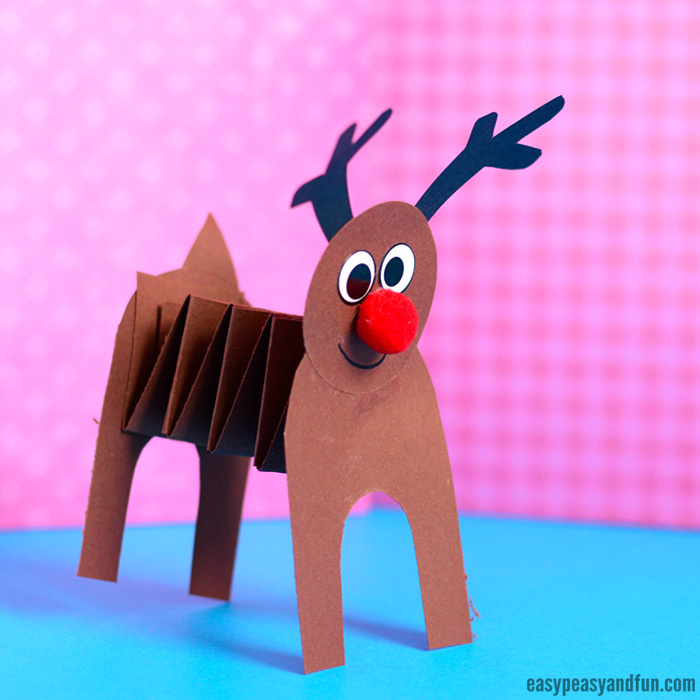 Make this adorable accordion paper reindeer craft. 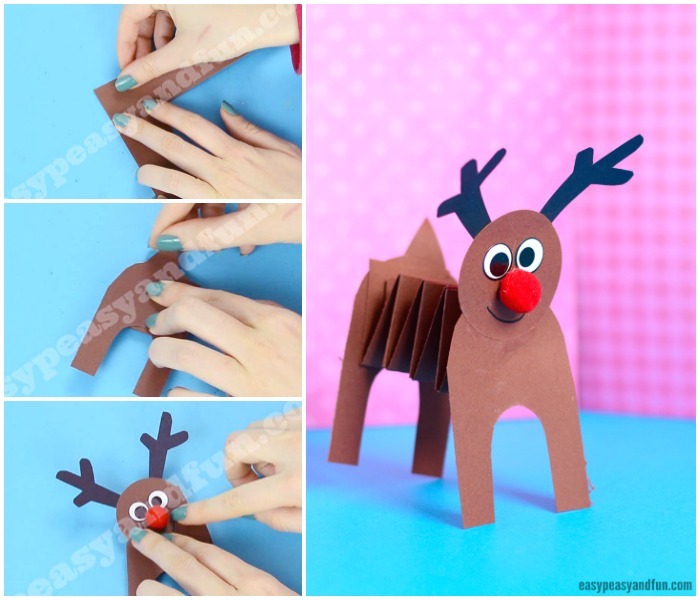 We do oh so love making all kinds of reindeer crafts – just check out out super popular 3D construction paper reindeer or our paper strips reindeer ball garlands, both super cool looking, easy to make and most importantly fun. 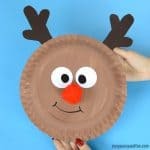 Christmas time is the best time to be crafting with kids, it’s the season to make memories, and is time when even the most busy families take time off (hopefully) to spend the holidays together. 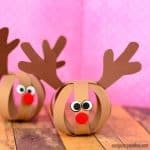 These little lovelies easily double up as fun toys or decorations, and are suitable both for classroom or as a crafting project to do at home. 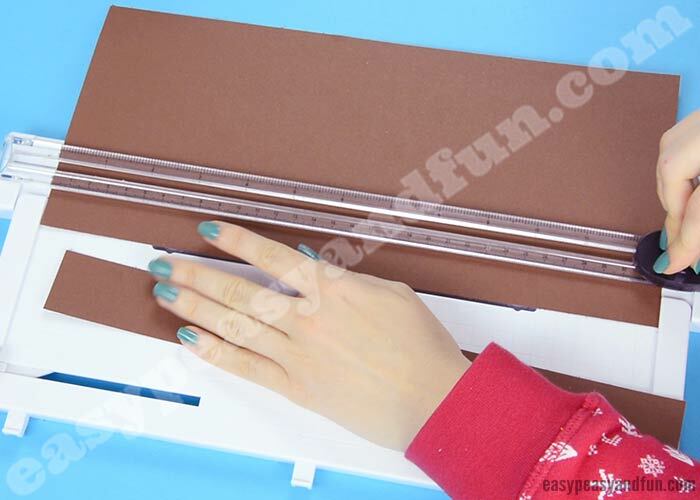 Cut two long strips of paper, they need to be the same width. 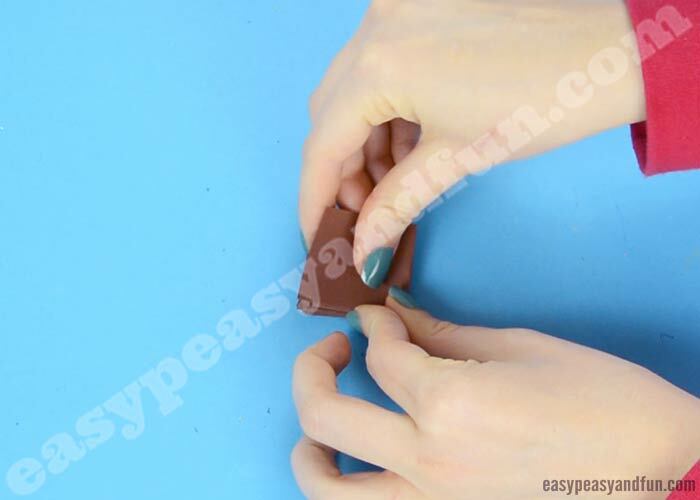 Do not worry about length to much, as you can always add more. 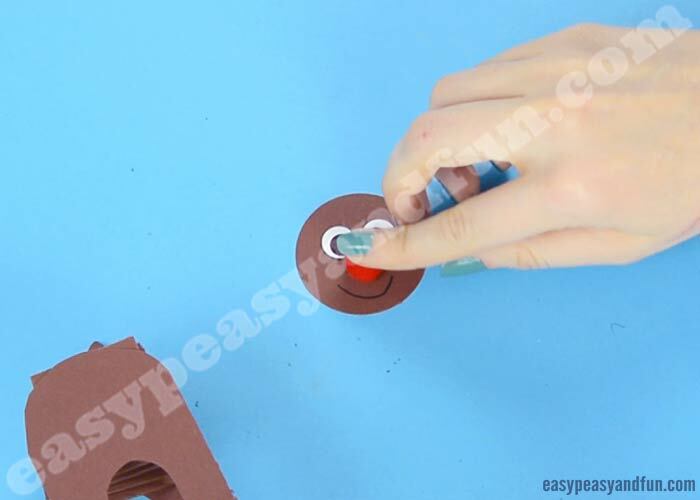 Glue the strips together at one end, at a right angle. 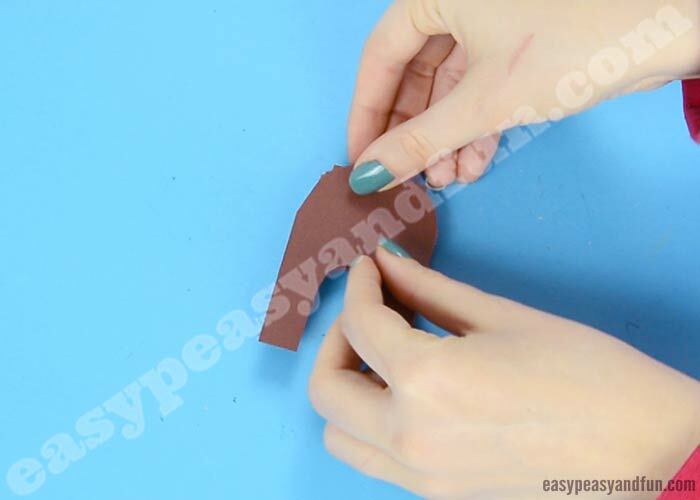 Glue the last folds together (if you want longer accordion for the body, glue two more strips and continue folding). 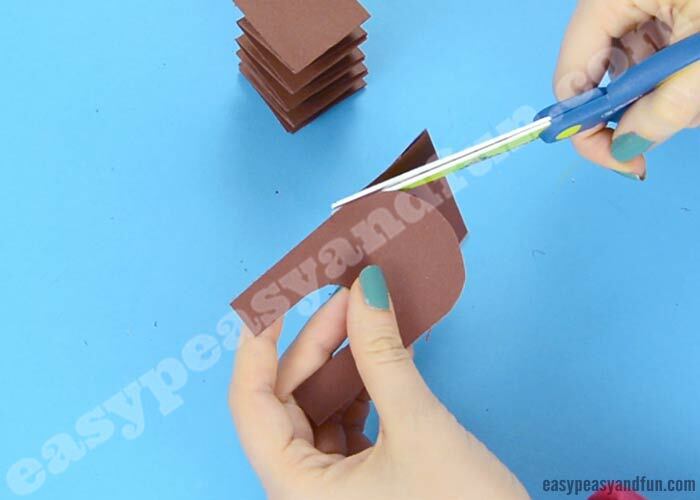 Cut 2 U shapes out of brown construction paper (make it a bit wider than the accordion). Glue them on both ends of the accordion. 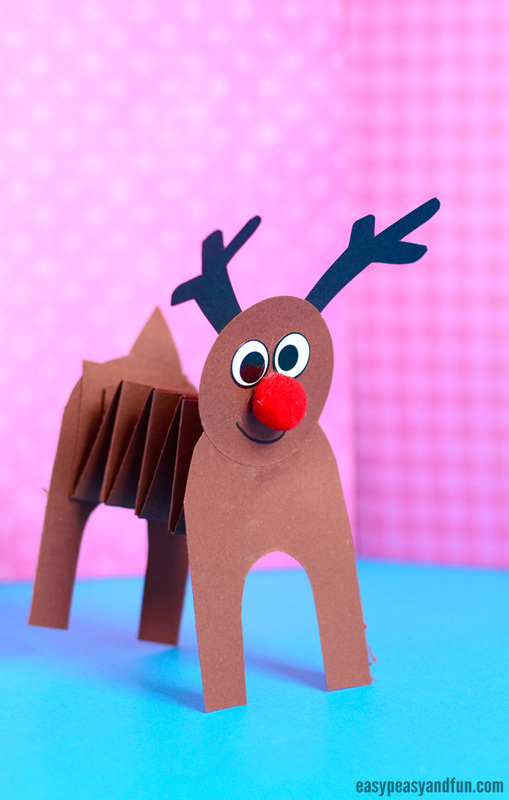 Cut a small tail out of brown construction paper and glue it on the deer’s but :). 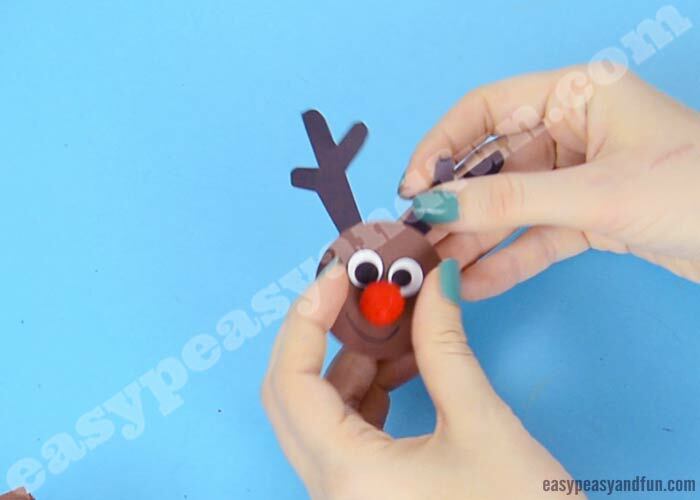 Also draw the mouth and stick on a red pom pom for the nose. 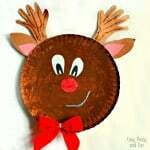 Cut antlers from dark brown construction paper and glue them on the head. 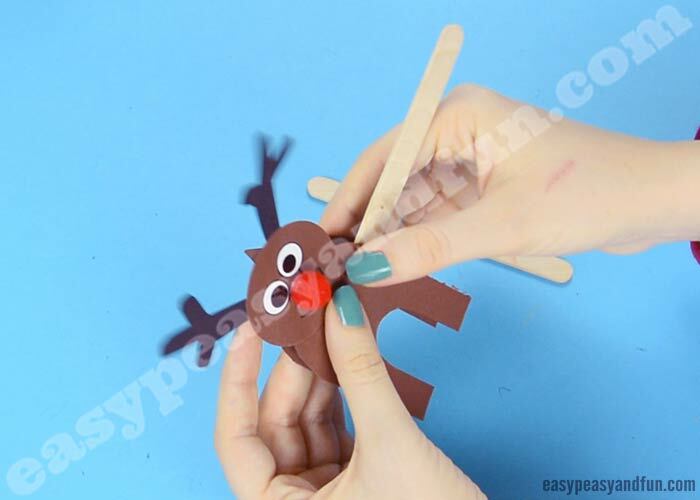 You can also pop in two craft sticks, one on each side, to turn your reindeer into a puppet to play with.